The Helios Voyager 42mm aperture monocular features rugged rubber armour for secure grip as well as fully multicoated optics and BaK-4 prisms which give you a bright and sharp image. 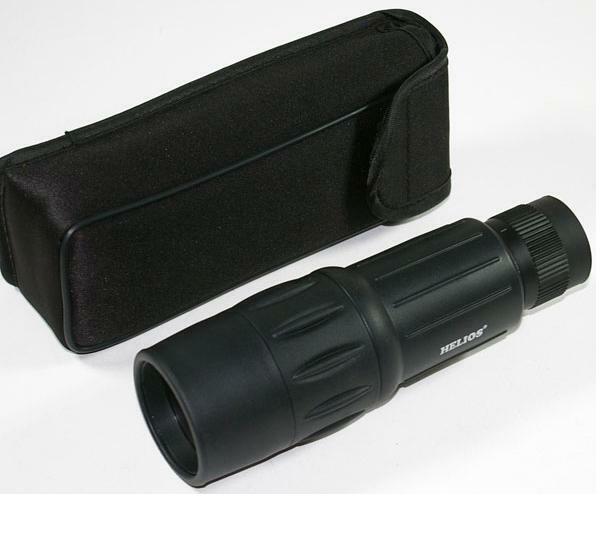 Take it everywhere you go and enjoy the possibilities that the compact Helios 10-25x42 Zoom Monocular offers you. For more information about, Helios Voyager 10-25x42 Waterproof Zoom Monocular website. A very nice piece of kit. Arrived very quickly securely packed and better than described! I ve not used Microglobe before but would be happy to do so in the future. The product is brilliant and so was the service. prompt delivery and it even arrived on a Saturday just in time for my dad s birthday. For the price and what you get this is a great product.Robust build with a good close focus. Good optics.Highly recommended.